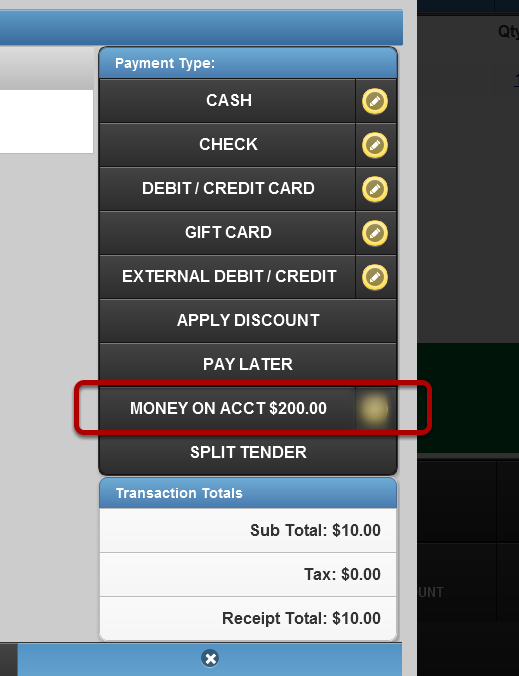 Feature: Money on Account is now a valid Payment Method in the POS App. Benefit: Now Clients who have a Credit on their Accounts can use said Credits through the POS app. Scenario: When doing a POS sale, search for your Customer, and if any Money is on Account, it can be used for the Transaction. A new Payment method will be listed. Money on Account will only be active if the Client attached to the Sale has money remaining on their Account.